Amazing former builders model home in popular Stoneyfield Meadows. Hardwood floors in foyer, formal dining, nook & kitchen along with 10ft ceilings on main level. Kitchen has 42 maple cabinets, Corian counter-tops, double oven, built in desk. Step tray ceiling in formal living & dining rooms. Two laundry rooms-one on main level & one on upper level, both equipped with front load washer/dryers, cabinets & utility sinks. Master suite has jacuzzi tub and bonus room off walk-in closet, currently used as an office, could also be excellent work-out or play room. Many energy upgrades. All new WeatherGard windows throughout home (2016). Dual tank water softener & Reverse Osmosis system at kitchen sink & fridge. Lennox geothermal split H/C system-uses earth's temperature to heat/cool the house and- for cold winters-has a full gas furnace backup built in. Trex wrap around deck. Basement is waiting to be finished with it's daylight windows & plumbing for extra bathroom. No HOA, No Association Fees, No Restrictions. 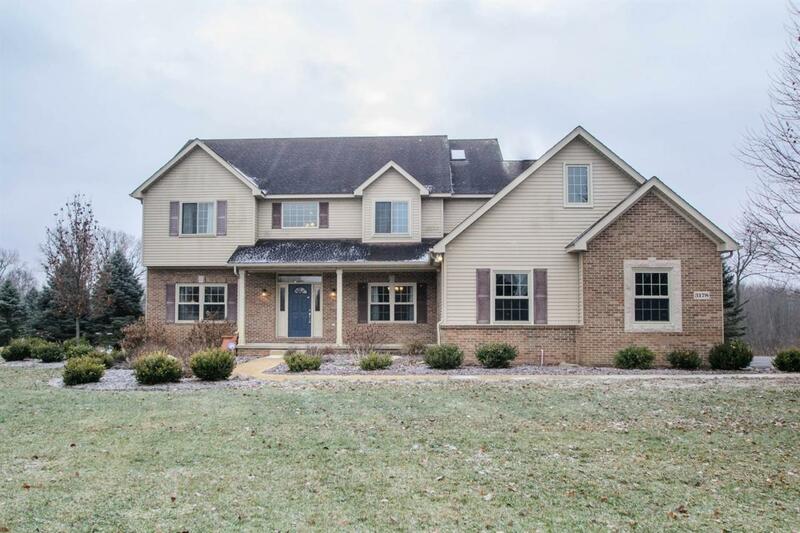 Minutes to downtown Dexter-restaurants, shopping and schools. Easy access to 94. Easy to Show. © 2019 Ann Arbor Area Association of Realtors Multiple Listing Service. All rights reserved. IDX information is provided exclusively for consumers' personal, non-commercial use and may not be used for any purpose other than to identify prospective properties consumers may be interested in purchasing. Information is deemed reliable but is not guaranteed accurate by the MLS or Berkshire Hathaway HomeServices Snyder & Company, Realtors®. Data last updated: 2019-04-23T12:13:07.823.